Fish O Mania organisers MatchRoom are being accused of peddling ‘sexism at its finest’ after the announcement of a Ladies Only qualifier. 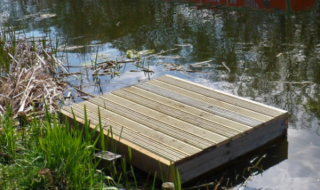 The proposed 50 pegger, which is apparently supported by Sky Sports and which will tag onto the April Partridge Lakes event, will ensure that there is a female in the £50,000 qualifier for the first time. And it’s not going down at all well on social media. 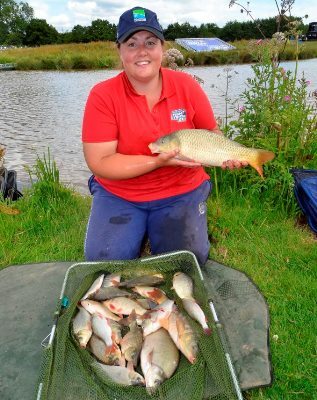 Matchroom Multi Sport COO Emily Frazer defended the move and said: “As part of our goal to encourage wider participation in angling we have introduced an all-female qualifier for the first time for 2019. “As we have seen at the Fish‘O’Mania Ladies match there are some incredibly talented female anglers in the UK and this is an exciting opportunity for us to showcase female angling on the biggest day in the match fishing calendar. “We hope that the dedicated female qualifying match will in turn encourage female entries to all of our qualifying matches while also growing the female presence at the Fish‘O’Mania Grand Final by having a guaranteed female angler for the first time. While some have welcomed what they regard as positive discrimination, others have pointed out that if the organisers go down this route their are bound to be calls for disabled only qualifiers and maybe junior only qualifiers as well. Indeed some of the UK’s top lady match anglers including Wendy Lythgoe, Sam Sim, Emma Drysdale and Sarah Taylor are not in favour. Wendy Lythgoe commented: “This whole episode takes the sport a step backwards on so many levels. To start, this is wrong. Why should there be a qualifier restricted by gender when the qualifiers to start are open to all? “If someone is good enough on the day to qualify, they will do so and sit in that final knowing that they deserve to be there on merit, not because they won a 50 pegger open to a minority. Plus, who wants to sit there being the token female? 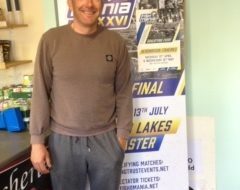 Matchroom Multi Sport and the Angling Trust are excited to release the dates for Fish‘O’Mania XXVI qualifiers. The £50,000 competition returns to Hayfield Lakes on Saturday, July 13 and as always will be broadcast live by Sky Sports. In 2019 there will again be 22 UK qualifying matches and for the first time there will be a qualifying match dedicated to female anglers, which will run alongside the open match at Partridge Lakes on Saturday, April 20. 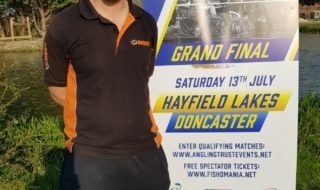 Saturday 13th July – Fish’O’Mania XXVI Final – Hayfield Lakes, Doncaster. Tickets for the Fish’O’Mania XXVI qualifiers will again be sold via the Angling Trust Events booking website HERE. Due to the high demand the Angling Trust has introduced a process that ensures all anglers who want to fish in the competition can book at least one ticket per qualifier. Round One: Friday 26th October – 12:00 noonuntil Tuesday 6thNovember 23:59. Anglers will be able to book a maximum of two tickets during this round.